I got The Serpent King by Jeff Zentner with one of my Owlcrate boxes. I enjoyed it a lot, so when I saw Jeff had a new book out I just had to grab a copy. I am so glad I bought this book. Goodbye Days talks about a prevalent issue in today’s society. Texting and driving. What happens when Carver sends a text asking his friends where they are? A basic text we all send every day without another thought. Sometimes we send this kind of text multiple times in one day. The only problem is that his friend Mars who is driving goes to reply to the text and ends up crashing. In one foul swoop Carver’s three best friends: Mars, Blake and Eli are dead. To help with the grief of loosing his best friends Carver’s older sister, Georgia suggests he go see a therapist to have someone to talk to. Carver isn’t, too thrilled at the idea, but maybe have someone else to talk to will be helpful. Not only does Carver have the therapist to talk to, but his best friend Eli’s girlfriend, Jesmyn is an unlikely ally. She is on person who understands his grief, unlike Eli’s twin sister who hates his guts. Blake’s grandmother suggests to Carver one time when he goes over to help weed her yard that she’s going to have a goodbye day of sorts in honor of Blake and do the activities her and Blake liked to do. She invites Carver to participate. Will his other best friend’s families want to give a goodbye day to their sons? Will Carver be included? This novel explores the deep pain that a sudden loss provides, how loss can possibly tear a family a part and how new friendships can grow out of loss. This book made me laugh, cry and feel warm fuzzies. This book needs to be made into a movie. It’s got humor, tension, sadness, thought-provoking sentences you want to highlight and more. 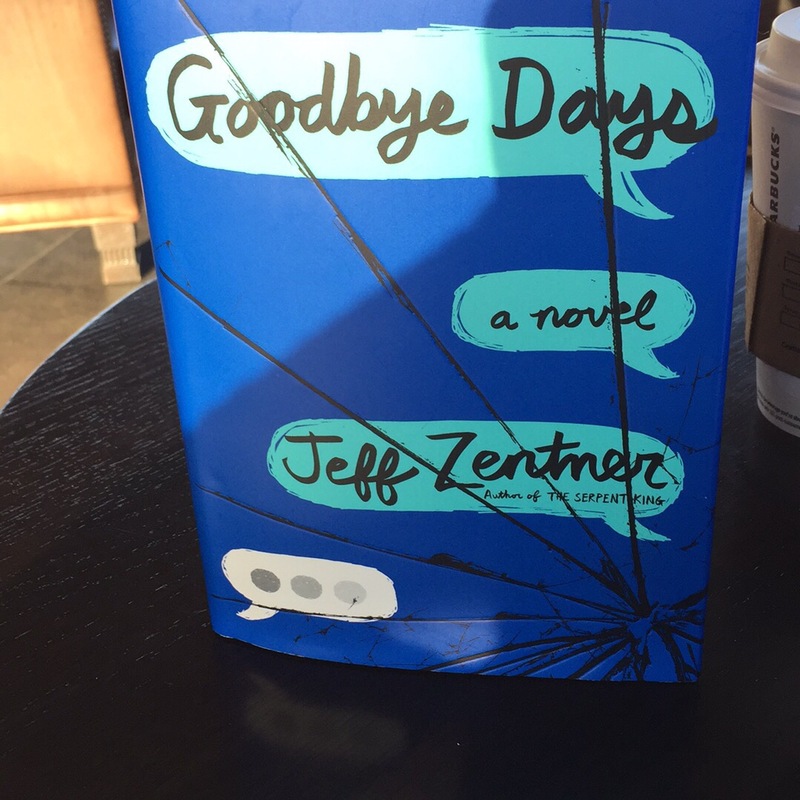 I have a few favorites I’d read this year, but Goodbye Days takes the cake. Go grab a slice.